Hello, I live in zone 9. I have a long but shallow yard and have just removed a row of 12 year old Photinias due to fungal disease. They covered an ugly fence and I\'m looking to replace them. 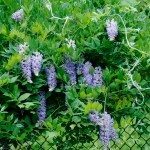 I am interested in a plant that is fast growing to cover the fence quickly and will do well in full sunlight. I considered the giant green thujas but my husband feels they may be too large for our yard (it\'s about 60-70 feet long but only 30 feet deep). I think they will work. Any other options you can recommend?? Thank you. Since you do not have a lot of space, I would recommend something that might stay a little shorter, and not as wide. There are many good dwarf trees, both, flowering and fruiting that could be suitable for this area. 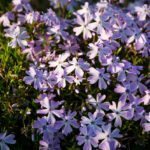 In any case, you will want to treat that fungal infection before you plant. Many infections are plant-specific, but there are also a great number of them that are devastating to other species as well. So to be safe you will want to treat this area first. Dolomitic lime and wettable sulfur are very good ways to help fix your soil. Adding these two, will kill off most, if not all, of the infection and bring the pH back to an even starting point around neutral. After a week or two the sulfur will have done its job, while the dolomitic lime is just now starting to become useful in bringing everything back to normal.